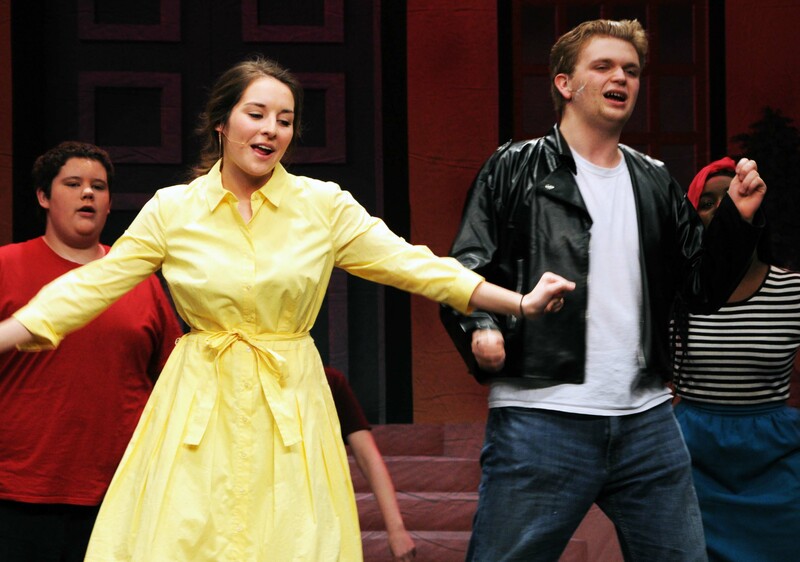 The school’s production of Grease was held on Friday and Saturday, Dec. 9 and 10. It was an action-packed musical, and you really missed out if you did not get a chance to see it. Under the direction of Kendra Donovan and Joanne White, and with Sophie McLellan as Sandy Dumbrowski and Ryan Struzziery as Danny, Grease was a big success. Grease is the story of Danny Zuko, a cool greaser, and Sandy Dumbrowski, a sweet, reserved girl, and how their worlds collide when they fall in love. After a summer romance, the two are surprised to meet again when they bump into each other on the first day of school. Afraid that his friends will tease him for being with such a wholesome girl, Danny panics and tries to salvage his reputation by ignoring Sandy, despite how he feels about her. Heartbroken, Sandy begins the journey to win him back because she is “hopelessly devoted” to Danny. He feels the same but is unable to reciprocate her love, torn between his friends and Sandy. Danny’s friends are the T-Birds and the Pink Ladies, greasers and trouble-makers to the core. From Frenchy flunking out of beauty school to Roger becoming the mooning champion of Rydell High (and Jan’s heart), the gang has a great many adventures during their time with Danny and Sandy. Rizzo and Kenickie lead the groups and have a love affair of their own that ends in a pregnancy scare. Kerin Dalton played the part of Rizzo, Jurnee Dunn was Frenchy, Erin Field was Jan, and Nevaeh Clara was Marty, making up the Pink Ladies. The T-birds who also did a phenomenal job included Shandi Austin as Kenickie, Michael Bodley as Doody, Morgan Foster as Putzy, Madison Parlee as Roger, and Kellie Berry as Sonny. 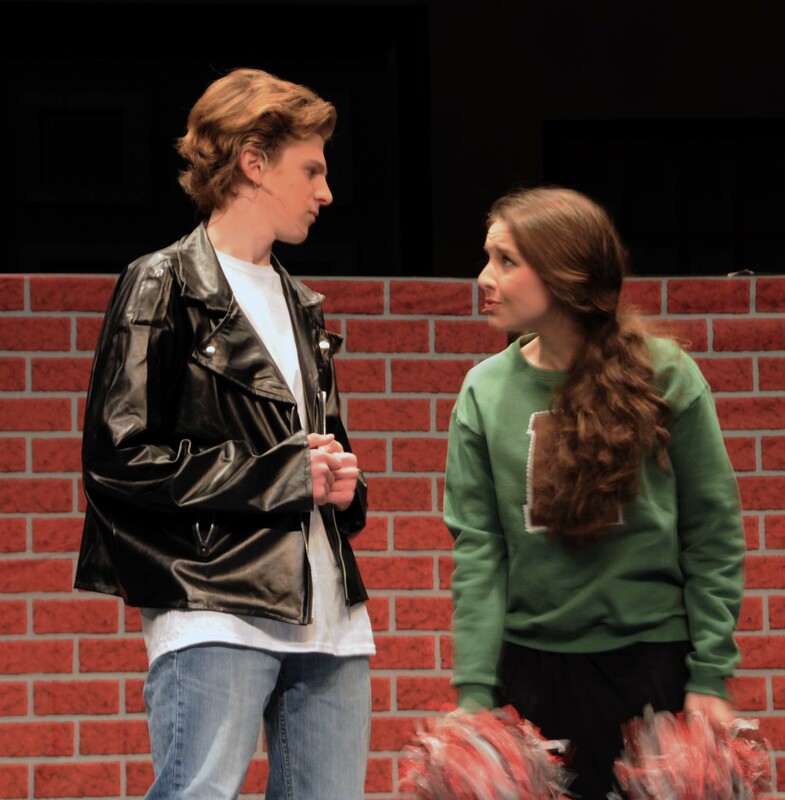 Michael Bodley, one of RHS’ Pathway students, got his time to shine as one of the greasers. He did an outstanding job. “Not only did Michael Bodley do an amazing job but the students working with him did as well. I was amazed by the inclusiveness of the cast as a whole, having a student from the Pathways program participate. They always made sure he knew where he was supposed to be and what he should be doing. They never let him fall behind on stage and off,” said Ms. White who is also a Pathways teacher. Overall, the hard work the cast put in totally paid off. “I was extremely entertained by the play! I thought everyone did a great job and are all so talented,” said freshman Sarah McLellan.